This week I killed off my first character, ever. It was difficult – even though I wasn’t super attached to him, I couldn’t help feeling a little guilty. After all, he was a good guy and under different circumstances maybe he could have lasted for another chapter or two. But after reminding myself that he was, in fact, a figment of my imagination, I was able to focus on the most important part. How to make his death compelling. 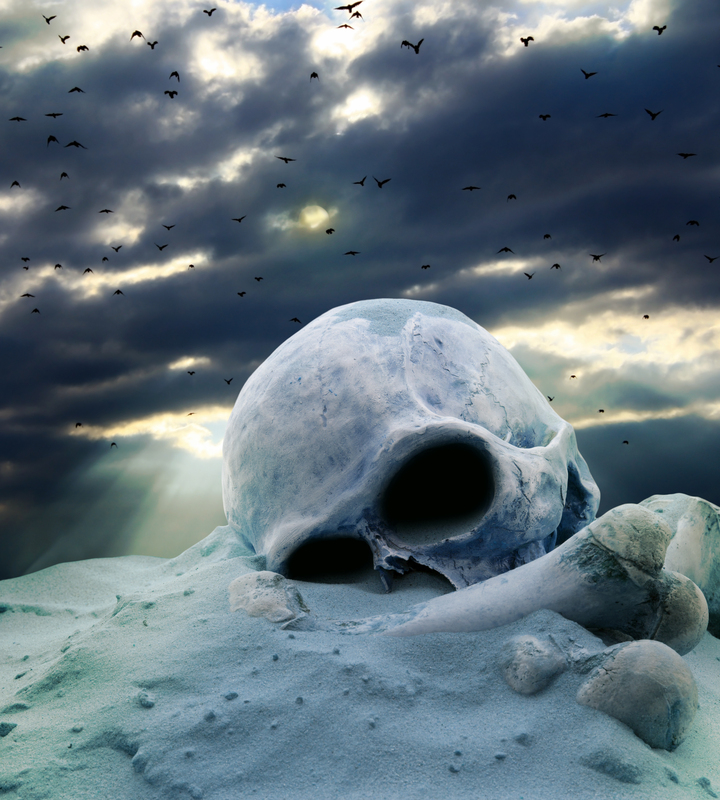 What is it that makes death truly gripping in great young adult fantasy writing? I remember crying when Sirius Black and Dumbledore died while reading J.K. Rowling‘s Harry Potter series. And little Prim got a sniffle or two when I read Suzanne Collins‘ Hunger Games trilogy. But I wasn’t sad so much because the characters were gone, but rather because of the emotional toll it took on Harry and Katniss. It was their response that sparked the reaction in me. Gandalf‘s death in J. R. R. Tolkien‘s The Lord of the Rings, however, didn’t move me in the same way. He was my favorite character in the series, but when he died I felt more like shrugging than crying. Maybe it was his age. Maybe it was because he died a victor and had led a full life. Of course, then he returns as Gandalf the White, and as happy as I was to see him, I was glad I hadn’t wasted any time grieving for him. So it’s safe to say that you won’t find any of my characters coming back from the grave. As a reader, I like when an author isn’t afraid to kill off main characters. It makes me feel like no one is safe, which heightens the tension during the action scenes. Now I just have to work on writing the emotion of these moments well. Do you have any suggestions about things to consider for writing about death in young adult fantasy? This entry was posted in Craft of Writing, Insights from Popular YA Fantasy and tagged harry potter, hunger games, j. r. r. tolkien, J.K. Rowling, Suzanne Collins, The conjurors, the lord of the rings, writing about death, young adult fantasy by conjurors. Bookmark the permalink. No suggestions, Kristie, but just a comment about how much I enjoy being taken along your writing journey. I think it’s important, especially in YA fiction to make the death believable and meaningful. I think all of us have had a character we loved die in a TV show, and all we can think is “Well, they’re obviously hunting for ratings.”. The YA audience is one that is probably the least prepared to deal with something like death. They’re young and have a TON of time in front of them to live, death is the last thing on their minds (Hopefully). When death does creep up on someone they love, a lot of teens/YA’s go through a time of disbelief, then incredible rage/sorrow. It’s important to keep that in mind when writing. They’re not prepared, nor should we make them see death as nothing to be concerned about. I’m not a big fan of books that just shrug at death. It’s a powerful thing, and none of us can escape it. Coming to grips with our own mortality is the stuff that philosophers and scholars spend their entire lives dealing with. A single sentence doesn’t do it justice. I completely agree. When it’s well done it’s a testament to the entire book, because we have to care about the characters deeply if we are going to mourn them. It has to be something the story builds to, and something that sends ripples through the rest of the book or series. Death has to change the characters fundamentally, just like it does in real life.